c2000 BC by the native Ibalois. Mount Pulag (Filipino: Bundok Pulag)  is Luzon’s highest peak at 2,926 metres (9,600 ft) above sea level. The borders between the provinces of Benguet, Ifugao, and Nueva Vizcaya meet at the mountain's peak. Mount Pulag is famous for its "sea of clouds" and the view of the Milky Way Galaxy at dawn, which has attracted many tourists who wish to see the "other-worldly" scenery. The entire mountain is believed to be the home to the tinmongao spirits and is the sacred resting ground of the souls of the Ibaloi people and other ethnic peoples in the area. The Ibaloi people of Benguet mummify their dead and house them in caverns in the mountain. The Kabayan mummy burial caves, one of the main attraction of the site, are considered Philippine national cultural treasures under Presidential Decree No. 432. Mt. Pulag was proclaimed a National Park through Pres. Proclamation No. 75 on February 20, 1987 covering an area of 11,550 hectares (28,500 acres). It is part of the Cordillera Biogeographic Zone and is a National Integrated Protected Areas Programme (NIPAP) site. The National Park is inhabited by different ethnic groups such as the Ibalois, Kalanguya, Kankana-eys, Karao, Ifugaos and the Ilocanos. Mount Pulag stands at 2,922 metres (9,587 ft) high. The peak of the mountain is located in the Municipality of Kabayan Province of Benguet. Because of its high elevation, the climate on Mount Pulag is temperate with rains predominating the whole year. Rainfall on the mountain averages 4,489 millimetres (176.7 in) yearly with August being the wettest month with an average rainfall of 1,135 millimetres (44.7 in). Snow has not fallen on its top in at least the past 100 years; however, there have been mild flurries on the mountain, especially during December, January and February. Frost is more common on the mountain due to the low temperature during those months. During the Winter season, the temperature at the highest point of the mountain is known to dip into sub-freezing temperatures, making it the coldest place in the country. The only recorded incidence of snow was in the late 1800s. Mount Pulag hosts 528 documented plant species. It is the natural habitat of the endemic Dwarf Bamboo, (Yushania niitakayamensis) and the Benguet pine (Pinus insularis) which dominates the areas of Luzon tropical pine forests found on the mountainsides. Among its native wildlife are 33 bird species and several threatened mammals such as the Philippine Deer, Giant Bushy-Tailed Cloud Rat (bowet) and the Long-Haired Fruit Bat. Mount Pulag is the only place that hosts the four cloud rat species. It is one of the most biodiverse locations in the Philippines, with the newly found (since 1896) 185-grams Dwarf cloud rat, Carpomys melanurus, a rare breed (endemic to the Cordillera) and the Koch pitta bird among its endangered denizens. On April 7, 2009, a Philippine Air Force (PAF) Bell 412 of the 250th Presidential Airlift Wing crashed at 6,900 feet (2,100 m) above sea level in the Kabayan-Pulag pass between Mount Mangingihi and Mount Pulag in thick low cloud and fog. The aircraft pilots and their passengers, who were presidential appointees, died in the crash. On January 20, 2018, the Mount Pulag National Park temporarily suspended trekking and hiking activities on Mount Pulag following a forest fire at a section of the mountain. According to an initial investigation, the fire started when a butane gas stove brought by a hiker allegedly exploded. The fire officers in site have declared a fire extinguished later that day. Cases were afterwards filed against the perpetrators of the fire. Park rangers estimate that it will take at least 6 months to 1 year before the area recovers holistically. ^ a b c d "Inactive Volcanoes; Part 6". 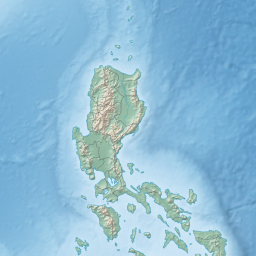 Philippine Institute of Volcanology and Seismology. 30 July 2008. Retrieved 24 March 2016. ^ a b de Ferranti, Jonathan; Maizlish, Aaron. 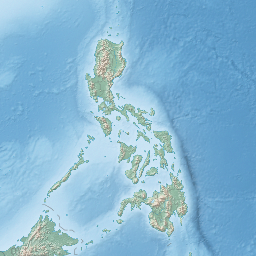 "Philippine Mountains - 29 Mountain Summits with Prominence of 1,500 meters or greater". Retrieved 31 January 2011. ^ Lasco, Gideon (January 24, 2016). "The 10 highest mountains in the Philippines (2016 update)". Pinoy Mountaineer. Retrieved January 22, 2018. ^ Cariño, Delmar (27 April 2009). "Respect mummies, Pulag trekkers told". Inquirer.net. Archived from the original on 28 April 2009. Retrieved 5 March 2012. ^ "Proclamation No. 75; Declaring As Mount Pulag National Park Certain Parcels of Land of the Public Domain Embraced and Situated in the Municipalities of Buguias and Kabayan in Benguet, Kiangan in Ifugao and Kayapa in Nueva Viscaya, Island of Luzon". Official Gazette of the Republic of the Philippines. Manila, Philippines. 20 February 1987. Retrieved 4 October 2016. ^ a b c Leprozo, Jr., Dave (25 December 2009). "Mapping out Mount Pulag". GMA News Online. Archived from the original on 4 October 2016. Retrieved 4 October 2016. ^ Yagumyum, Rudy (16 April 2009). "PAF provides more details on presidential chopper crash". ABS-CBN News. Retrieved 5 March 2012. ^ Comanda, Zaldy (21 January 2018). "Mt. Pulag closed to hikers due to forest fire". Manila Bulletin News. Retrieved 22 January 2018. ^ "Hikers, trekkers barred from Mount Pulag after forest fire". ABS-CBN News. 20 January 2018. Retrieved 22 January 2018. ^ Agoot, Liza (20 January 2018). "Activities at Mt. Pulag suspended due to forest fire". Philippine News Agency. Retrieved 22 January 2018. Wikimedia Commons has media related to Mount Pulag. Wikimedia Commons has media related to Mount Pulag National Park. Wikivoyage has a travel guide for Mount Pulag.